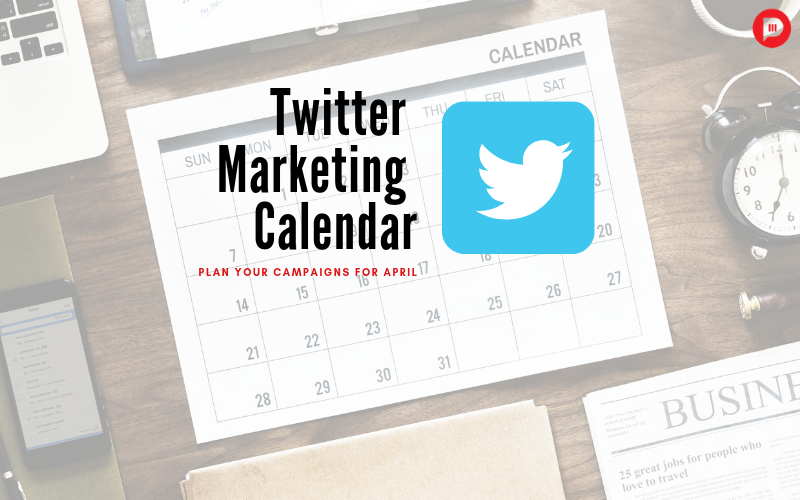 You are at:Home»Digital»Plan Your Campaigns for April with Twitter Marketing Calendar! Twitter is a place where people connect with their passions, share their ideas and thoughts and find out what’s happening in the world right now. These moments could be major global events to small everyday celebrations. From #PhirEkBaarModiSarkar to #FridayFeelings. These moments are a great way to connect with an audience, join popular conversations, and increase twitter engagements. So it makes sense to plan your campaign strategy around one of Twitter’s most trend-worthy topics. Twitter has rundown the most anticipated events of 2019 in its marketing calendar. Along with the number of tweet impressions expected to reach! These extra insights provide additional context around what you can expect to reach, which can help you conceptualize your strategic approach and refine it. So what’s in for April? This April, make sure you give your marketing strategy and social media channels some much needed “spring cleaning”. Bounce back on your top posts and major marketing goals while also planning fresh and exciting spring content. In addition to these, there’s also a wide range of other themed options to consider, including National Peanut Butter & Jelly Day (April 2nd), World Party Day (April 3rd), National Beer Day (April 7th), World Health Day (April 7th), National Sibling’s Day (April 10th), Pet Day (April 11th) National Gardening Day (April 14th) each of which has significant potentials and can be used for different content pegs. As noted, Twitter’s monthly event calendar can serve as a great impact to your content strategy plans. If you are looking to have a much bigger head start you can download 2019 Twitter Marketing calendar for year-round campaign inspiration and start tapping into conversations that start on with Twitter. Keep this calendar on your desk throughout the year for inspiration and start planning campaigns around key dates and conversations. How are you planning your April content calendar? Let us know in the comments below! Next Article Apple Pushes Beyond Iphone with Launch of New Services!